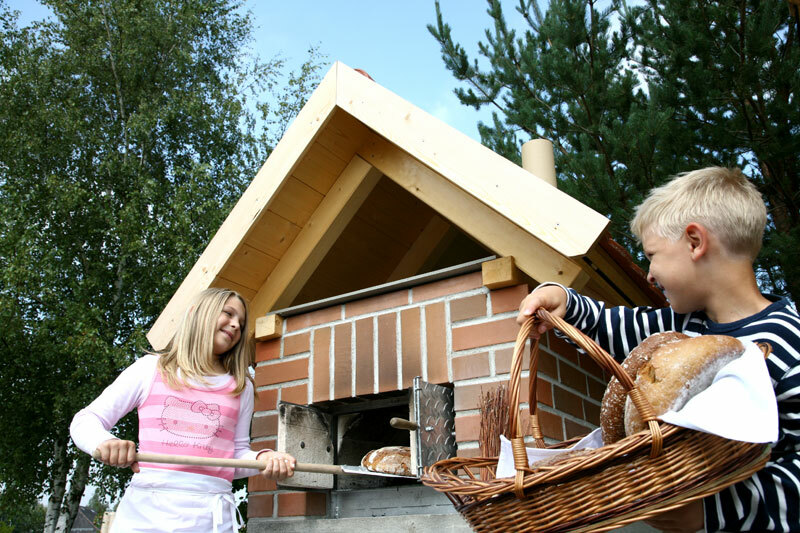 More and more homeowners dream of having their own wood-fired baking oven for making bread, pizzas, cookies and much more besides according to their own recipes. And could anyone’s mouth fail to water just at the very thought of a juicy suckling pig or crispy goose or duck? 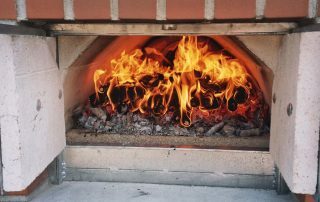 You have a spot available in the garden, but the question is, how do you build that kind of thing and where do you get the building materials you need, including the oven doors and the necessary plans? The same question is also increasingly being asked by clubs, associations and whole village communities. 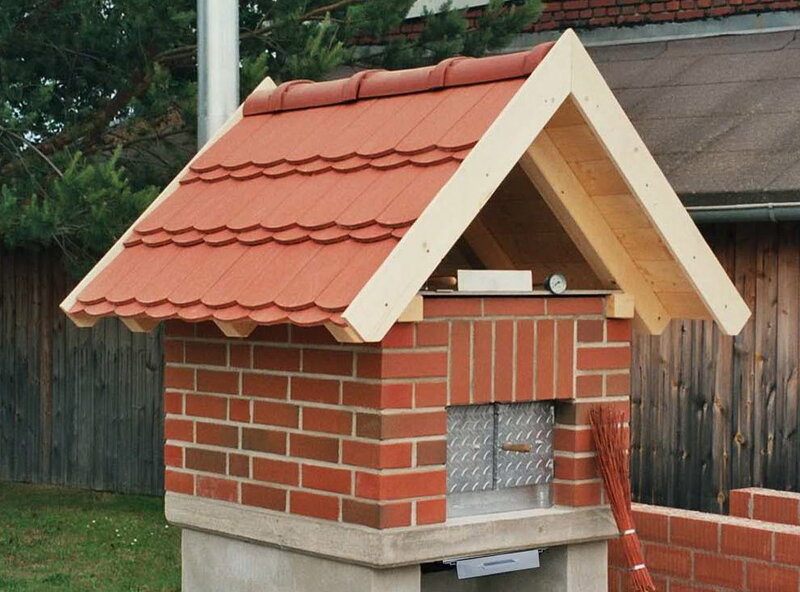 The solution: You need a complete construction kit – and it has to be capable of being relocated quickly and easily! 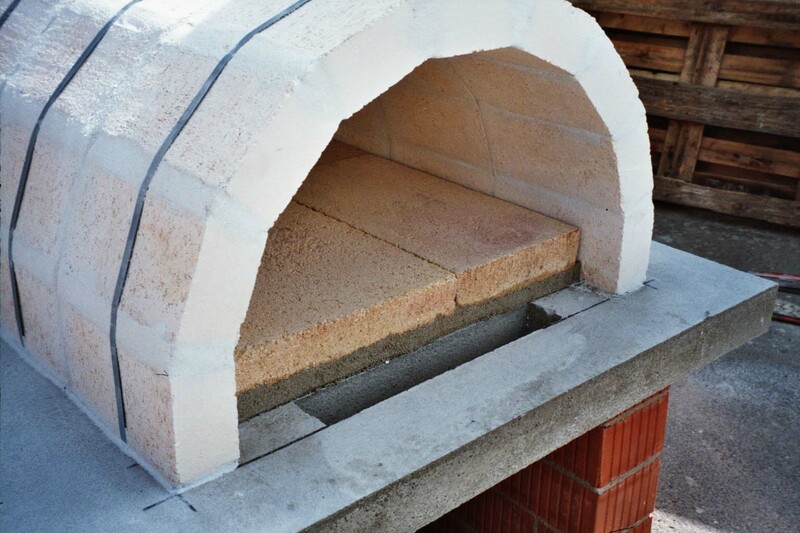 The “insides” of our “Family” and “Maxi” wood-fired baking ovens are constructed of solid firebricks, and the ovens are sheathed with special heat-resistant chimney insulation compound to prevent loss of heat to the outside. 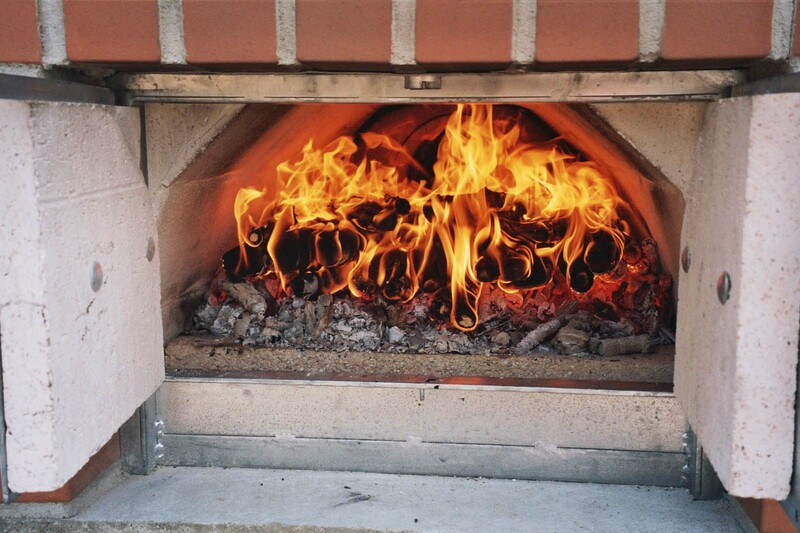 The specially heat-resistant base slabs made of special firebrick are 64 mm thick and in a large format, meaning that there are only a few joints. 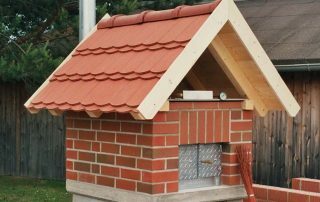 The arch sections are made of firebricks with a thickness of 71 mm and these are assembled at the factory using a special adhesive mortar. 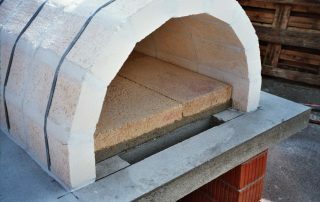 These firebricks have a high water absorption capacity and an enormous heat storage capacity, both of which are important for baking. On the base that you have prepared yourself, you simply place 3 or 4/5 prefabricated arches (with a width of approx. 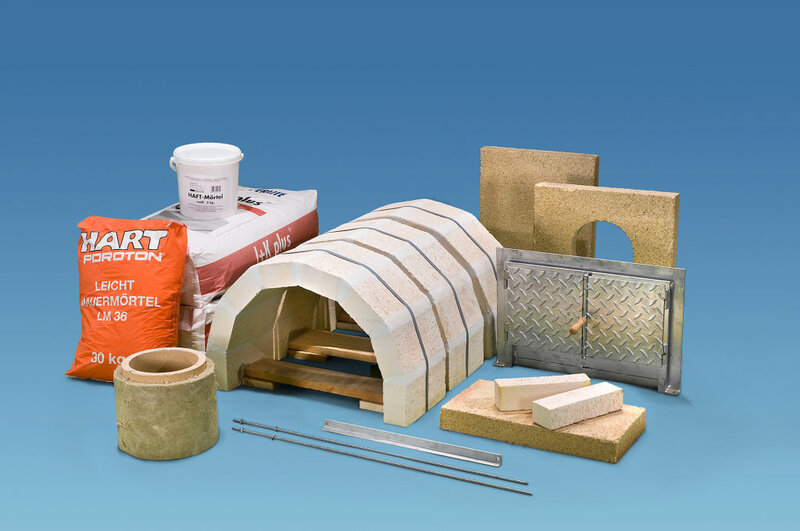 25.5 cm each), then you place the base slabs on a layer of the insulation compound, with a thickness of approx. 2.5 cm (Maxi = 3.5 cm) that is also supplied with the product.